Brought into the spotlight by Pantone, Ultraviolet is the Colour of the Year 2018 and a shade that leaves no one indifferent. On this week’s Le Journal, we dive into this fascinating shade of purple that is taking the interiors world by storm. 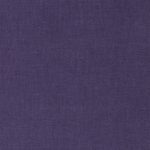 We’ve seen it in icons like Prince, David Bowie or Elton John, who have championed the inclusion of purple as an expression of their artistic brilliance and charismatic personality. Purple, and in particular Ultraviolet, is the colour to be daring and a statement in itself. 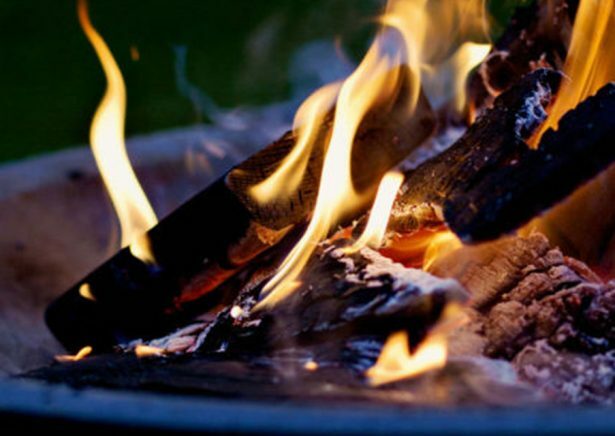 Its eye-catching appeal is often associated with elegance, extravagance and creativity. When it comes to interiors, this bold hue is ideal for those who are keen to push boundaries in the decoration of their living space, injecting them with an eclectic appeal by means of this fascinating shade. Petite in size but big in style, the Amethyst vase is a fabulous choice to slowly introduce purple hues into your decor. Choices, as usual, are endless. 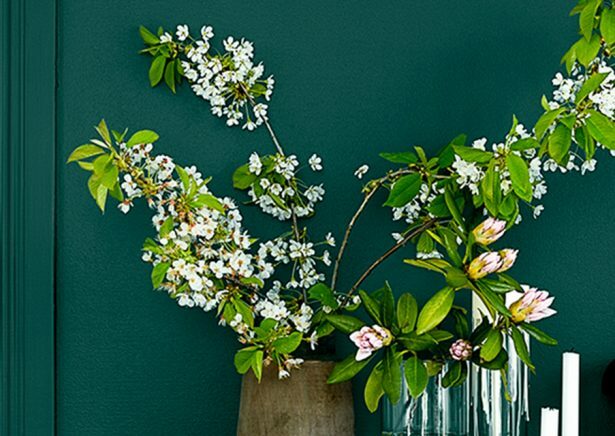 Whether you plan to go bold and paint your walls in a mauve palette or add just one piece at a time, this bold shade will completely change the look and feel of the room. 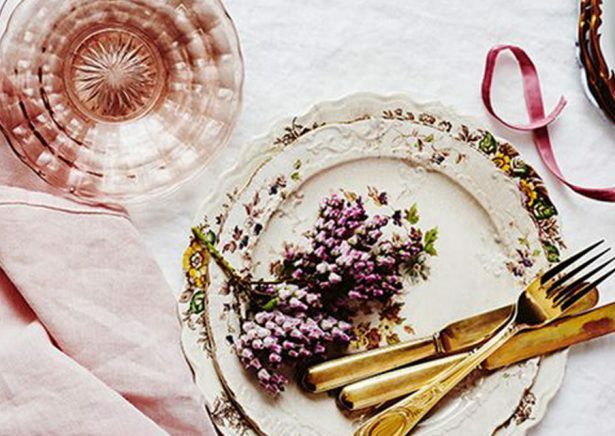 Even a vase of fresh purple flowers will make any interior look more elegant and make solid materials, such as wood, or neutral palettes flourish. Solid woods and dark finishes, such as the ones in our Sadie, benefit from the natural elegance of small purple touches. While introducing purple upholstery into your home may seem daunting and daring, it’s definitely a fabulous shade for spicing it up. 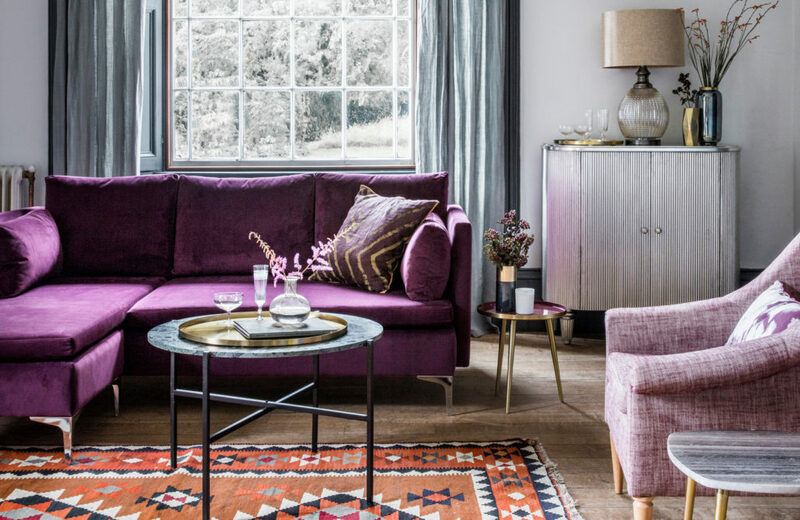 Not only it will make your interior look as stylish as ever — with so many different shades within the purple colour range, it’s easy to find the one that perfectly matches both your personality and your home. 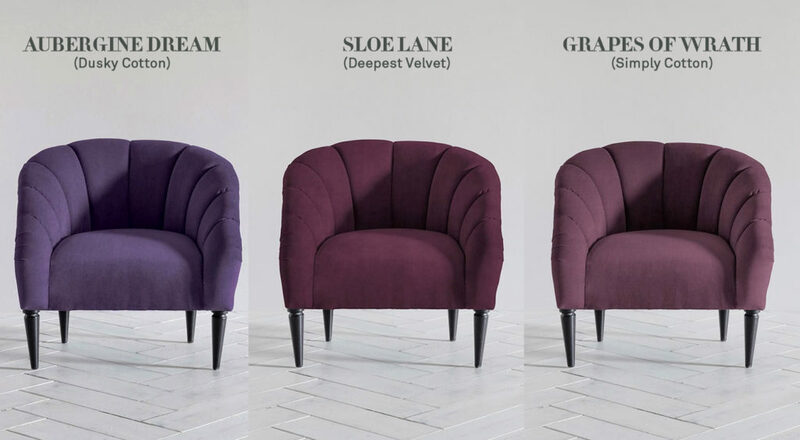 A mix of purple shades in different textures, such as our Paul Chaise sofa in Sloe Lane and Joan armchair in Sloe-Eyed, will make the room look and feel imposing. Take our Rose armchair, for instance, a beautiful design with an undeniable visual appeal which can be personalised with over a hundred different fabrics.  The compact size of the Rose makes it perfect to display bold and striking upholsteries, such as purple. Whatever the shade of purple you choose, the result is simply flawless. 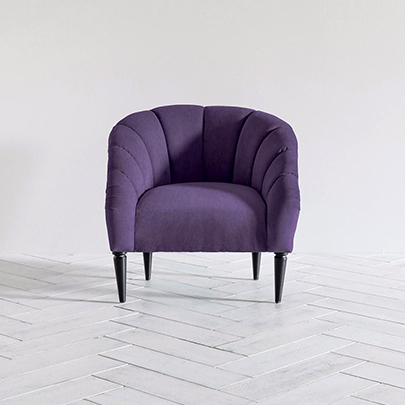 The Rose armchair, one of our favourite Made to Order pieces, available in three gorgeous purple shades. 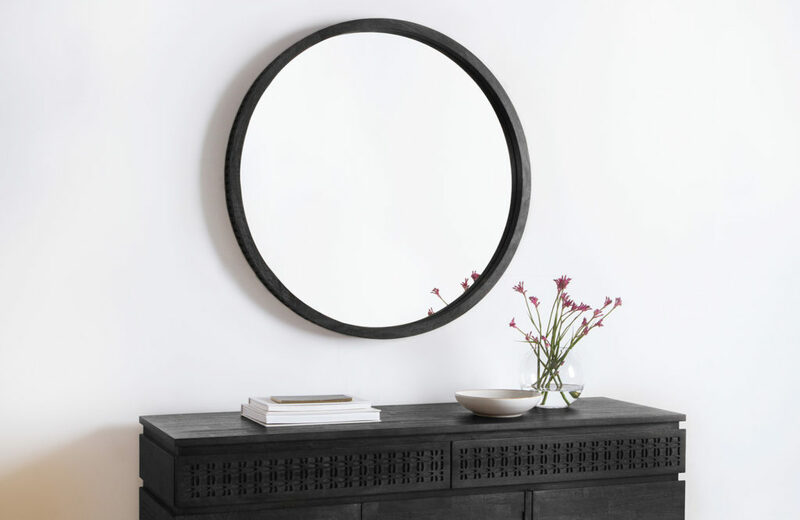 Our Made to Order range is a fabulous way of bringing the trend home, as it lets you get all the inspiration and choose your favourite furniture piece to personalise it with the colour and fabric of your choice. From natural linen or cotton to luxurious velvet or wool — we’ve got you covered with a beautiful range of high-quality fabrics, available in a gorgeous selection of colours and textures. 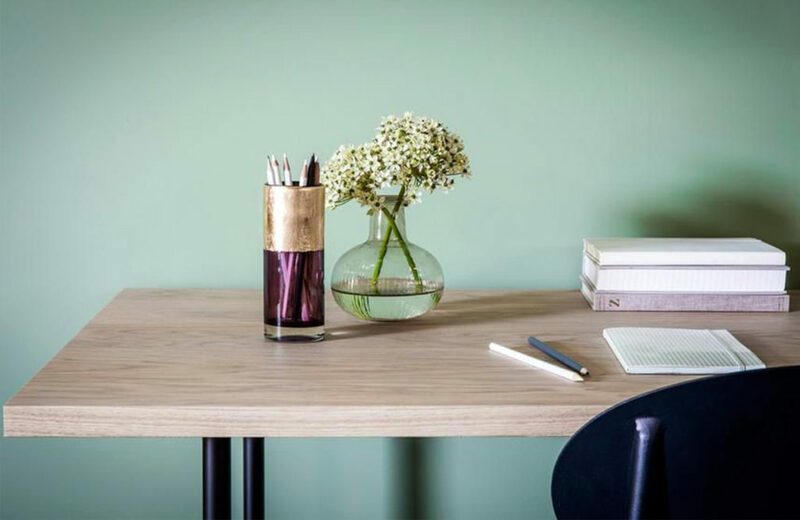 Simply head to our Made to Order page to discover the range; try different colour swatches and see how do they flatter the design. If you love the result but want to take a closer look at the fabric, you can order up to six free fabric swatches online and receive them at home in a few days.